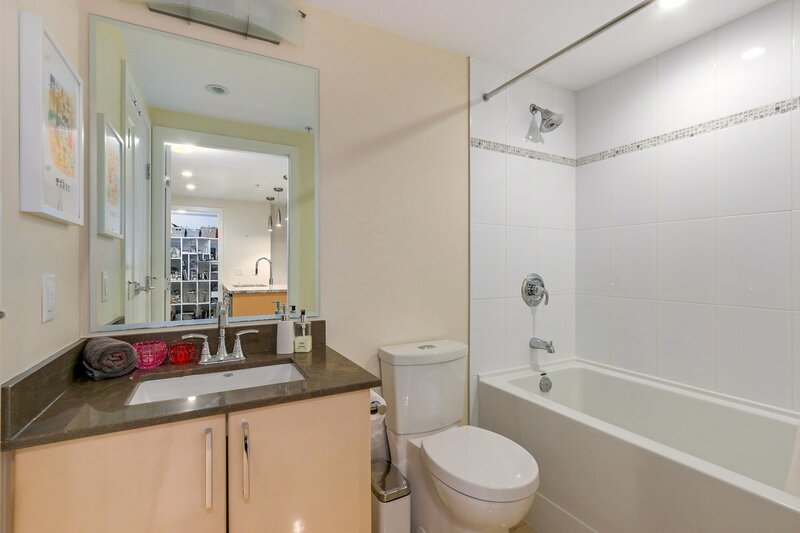 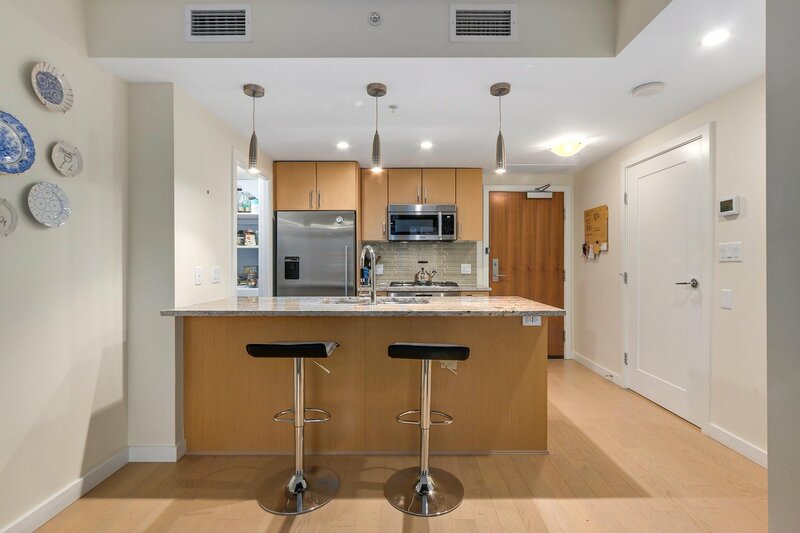 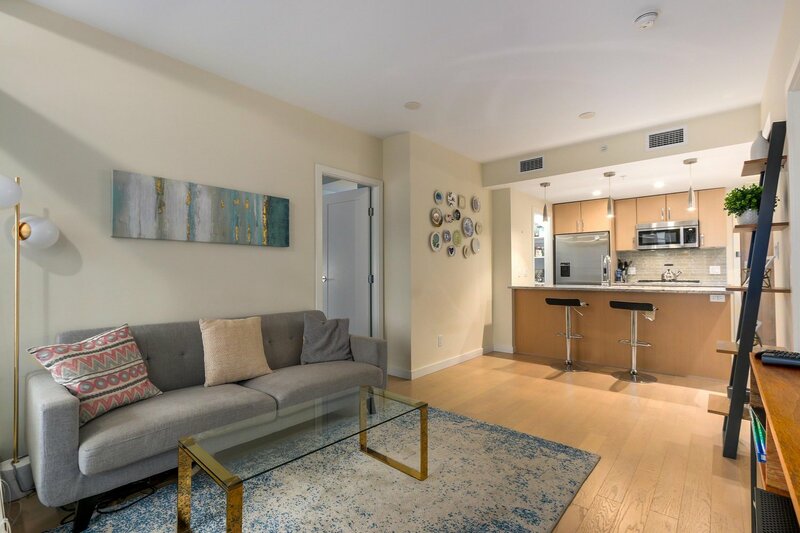 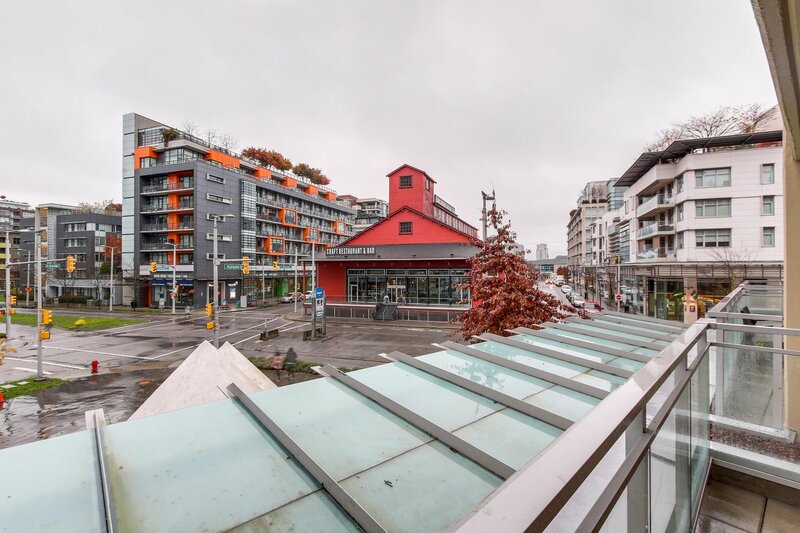 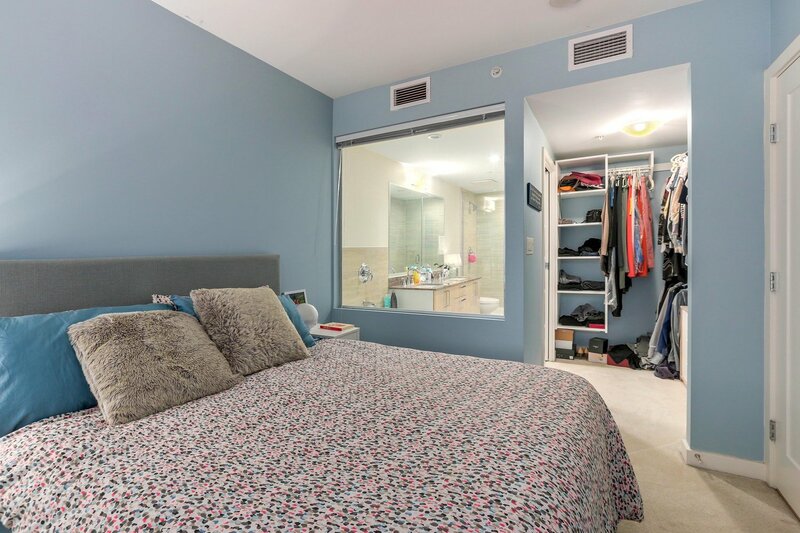 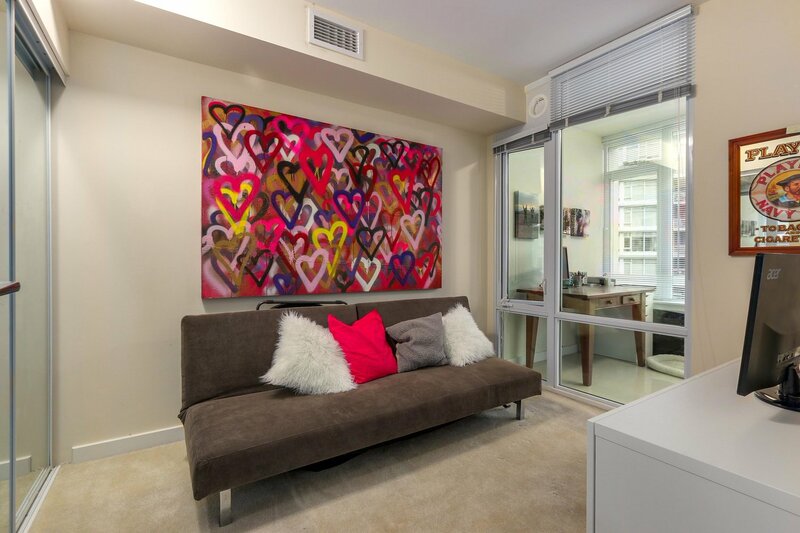 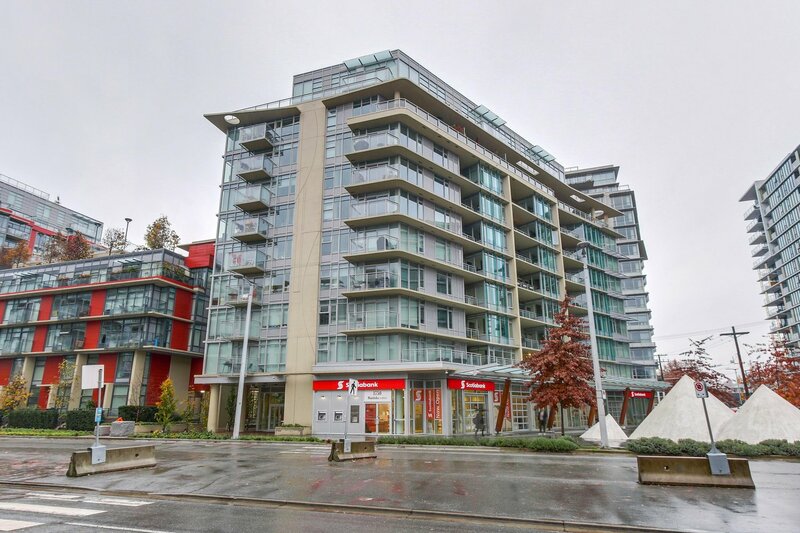 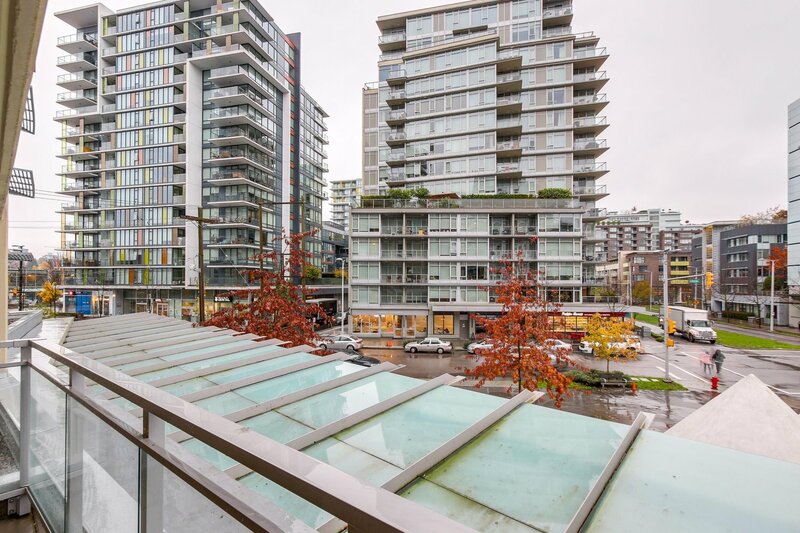 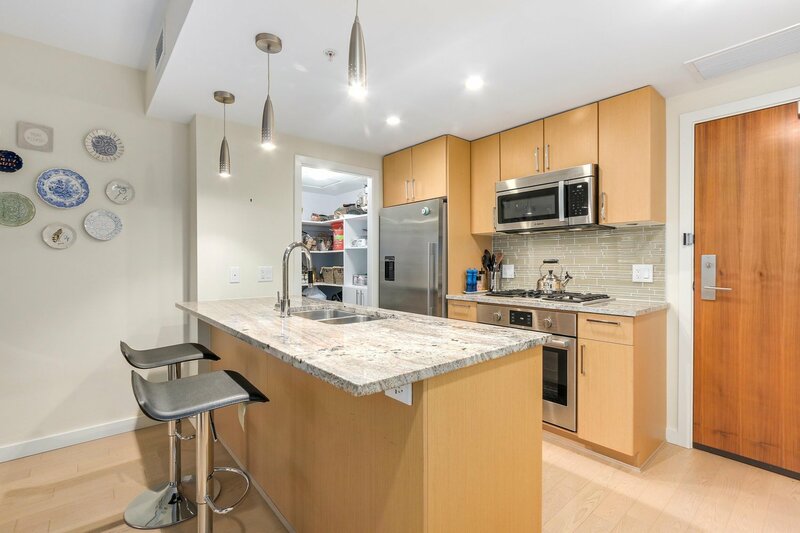 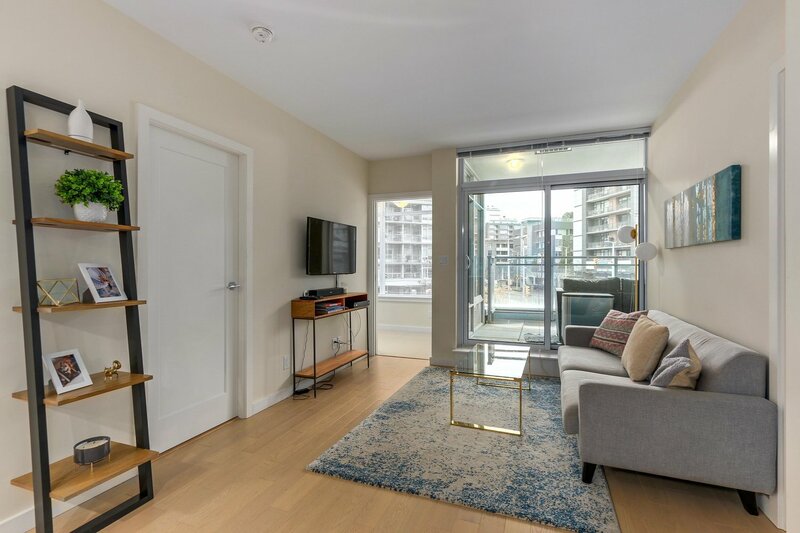 205 88 W 1st Avenue, Vancouver - 2 beds, 2 baths - For Sale | Kelly Siah - Multiple Realty Ltd.
Best location in False Creek! 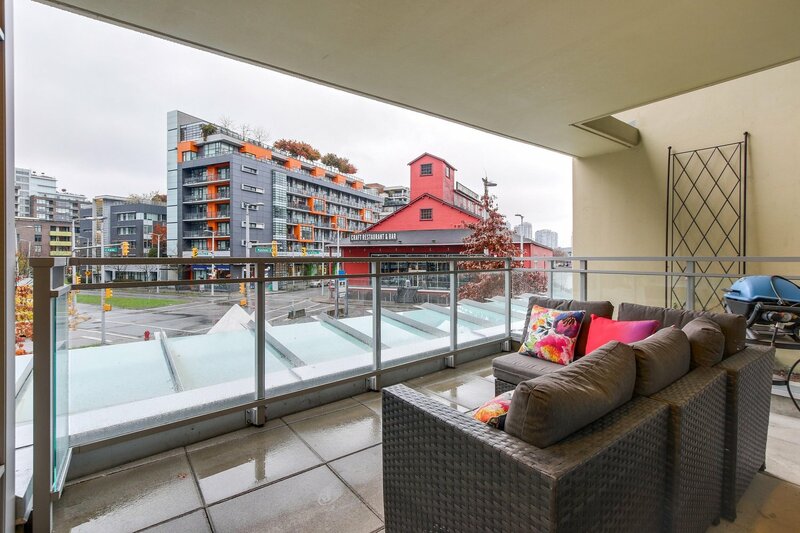 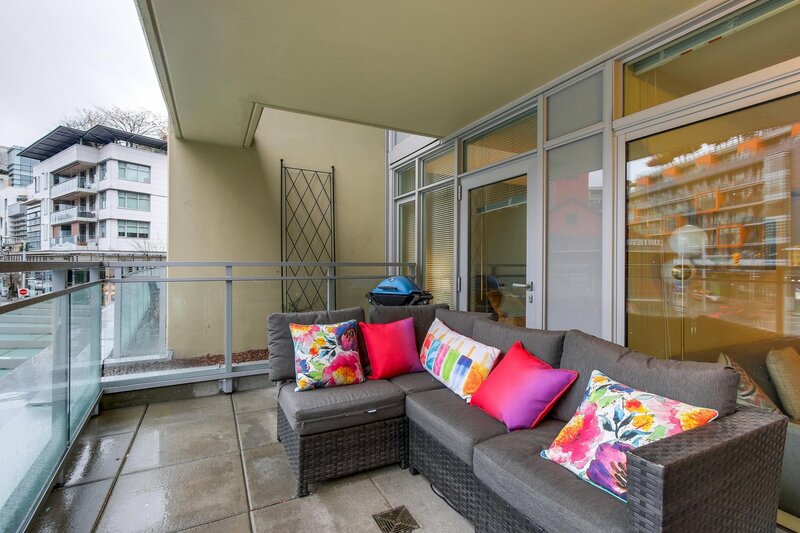 This well laid out 2 bed/2 bath home is located in the heart of Olympic Village featuring a large patio to sip your morning coffee on. 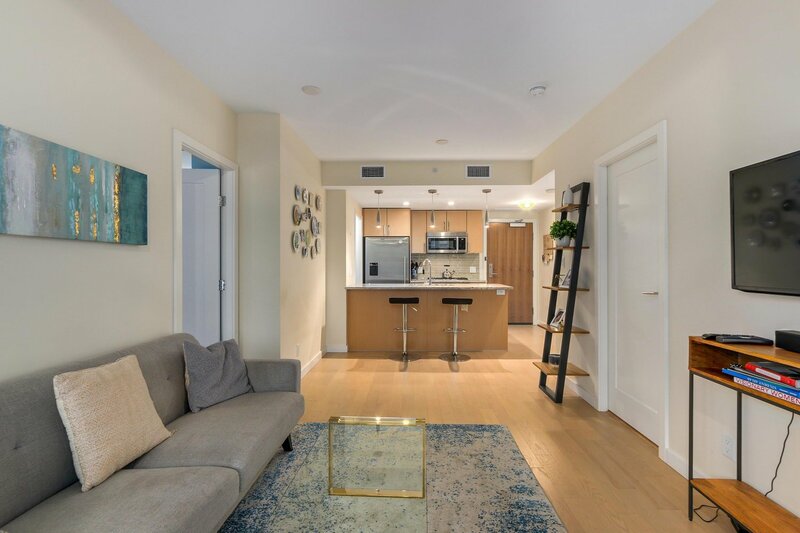 The home also features a gourmet kitchen with granite counter tops, SS Bosch appliances, engineered hardwood floors, Air Conditioning and spa-like bathrooms with a luxurious soaker tub. 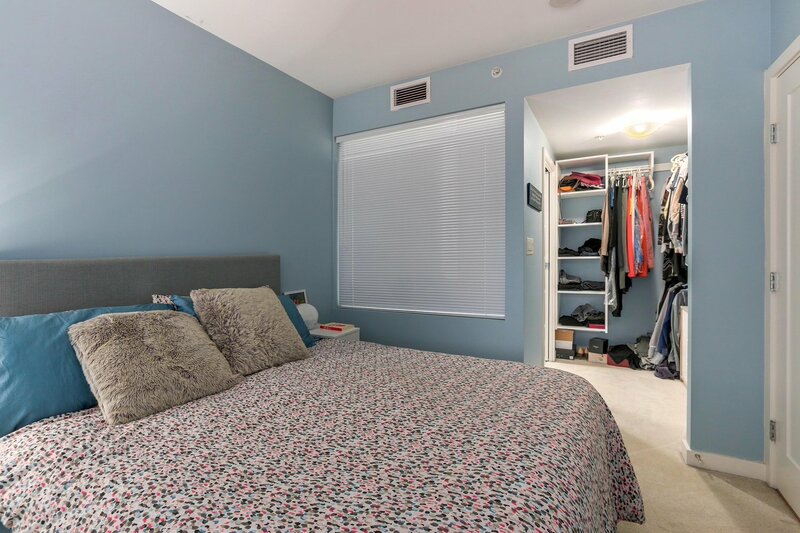 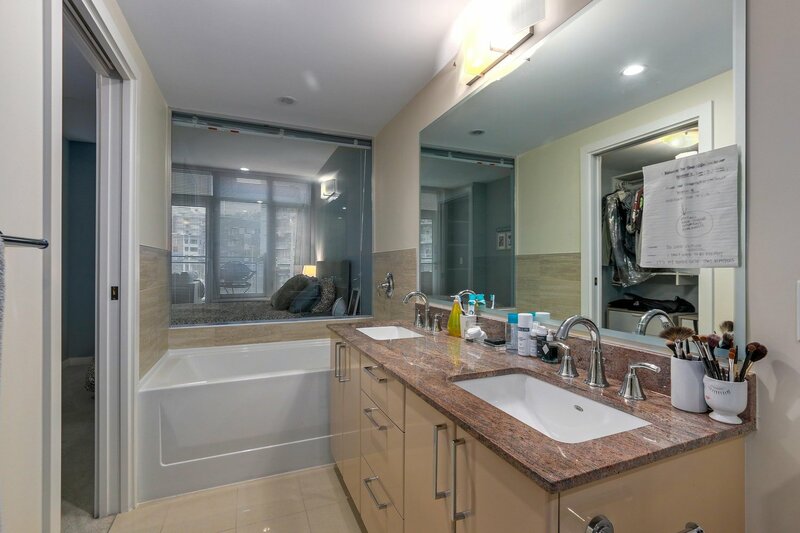 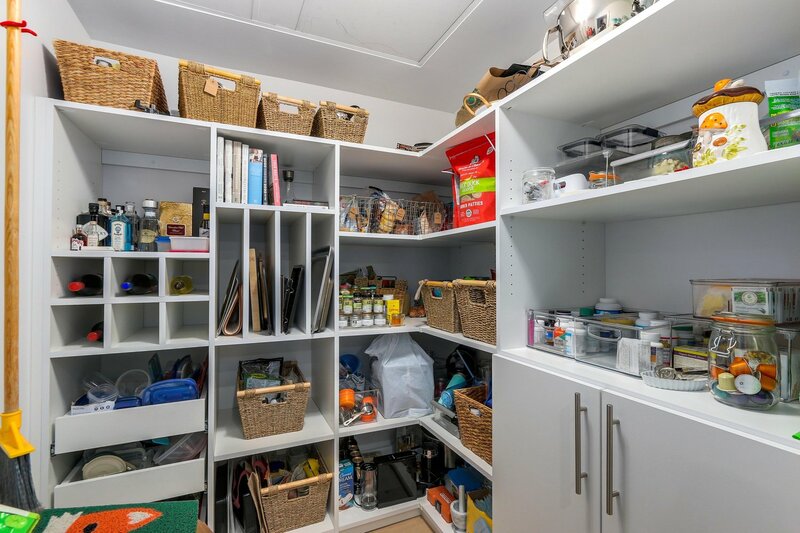 The home features a solarium which would be ideal as an office and and in suite storage room with custom cabinets. 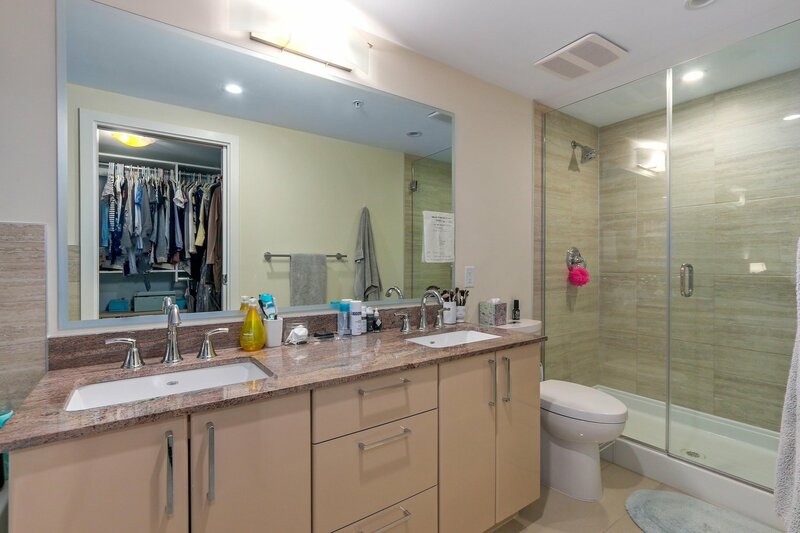 Enjoy beautiful views of False Creek soaking in the hot tub or infinity pool on the rooftop patio. 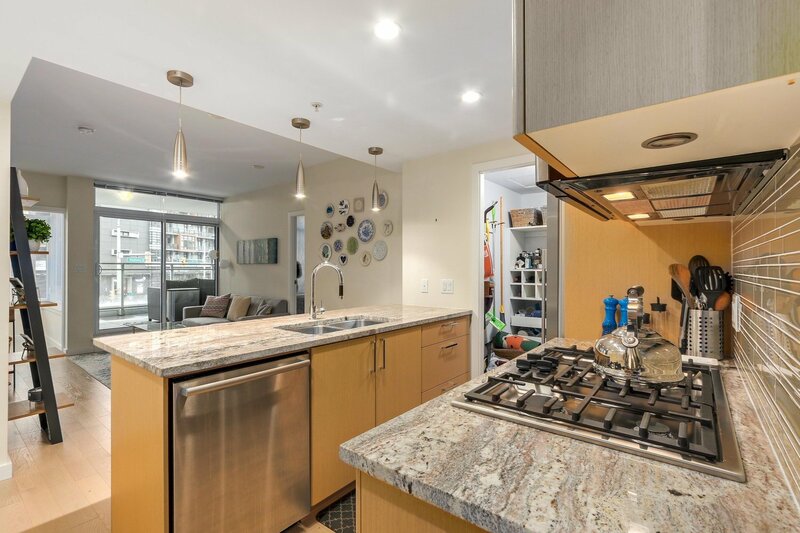 This home is literally in the middle of Olympic Village, everything is at your door step, location does not get better than this. 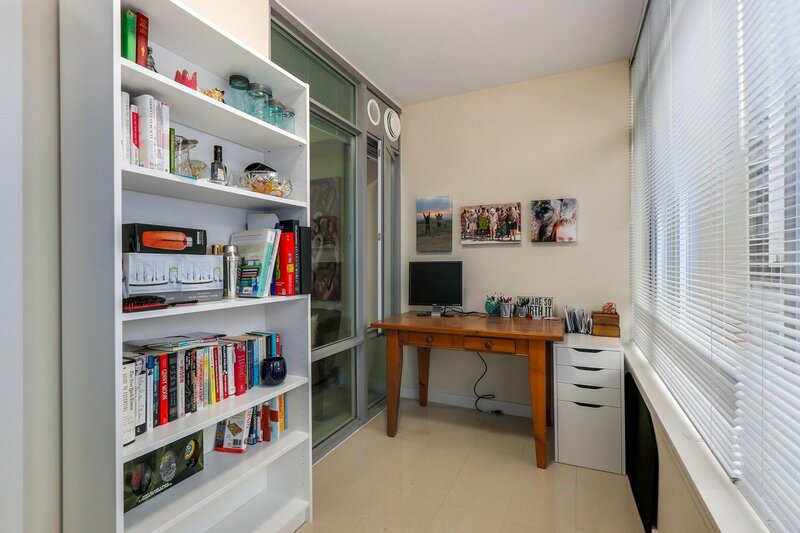 1 parking spot, 1 storage locker and 1 bike locker. 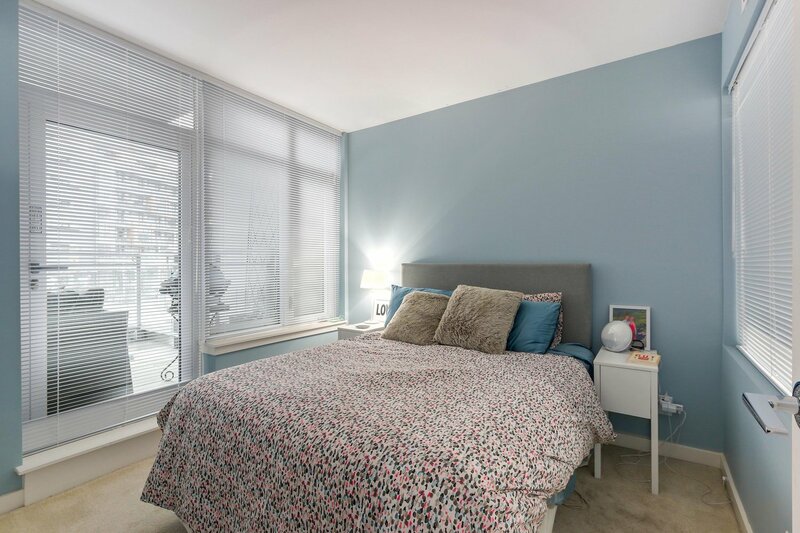 Open House Sunday April 21st 2pm to 4pm.